Jayson Roberts and Darius Washington perform at the Better Man Than Me's scholarship fundraiser. 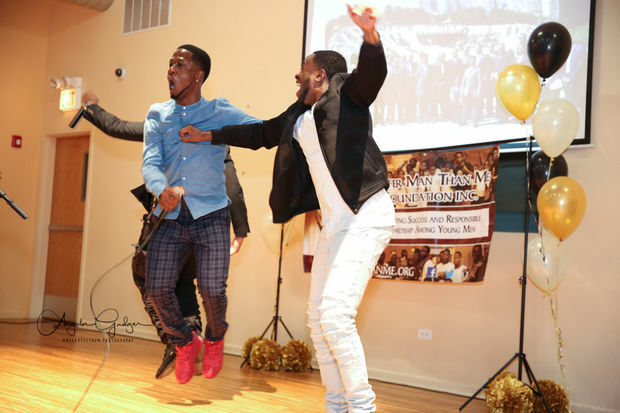 ENGLEWOOD — With the help of a local male mentoring program, three young South Side men have dropped a new collaborative EP with sales going to help fund college scholarships. “Better Man” released on iTunes this week for $9.99. There’s a mix of gospel, rap, hip-hop and House music. The Better Man Than Me Foundation works with young men 12 and older. 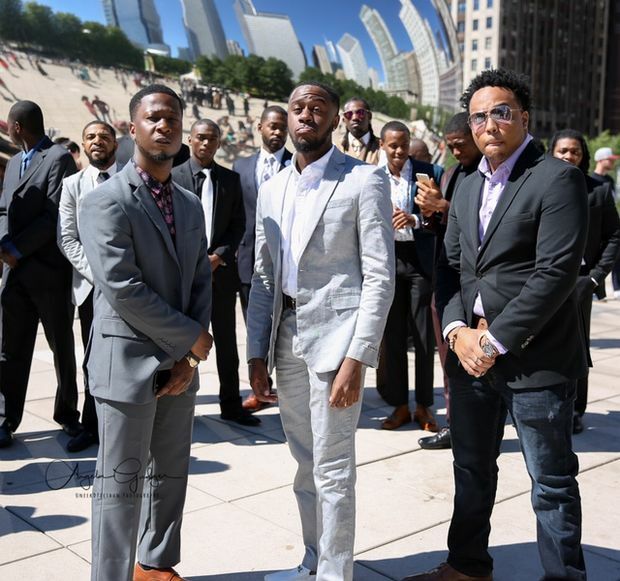 It began as a leadership training program six years ago, founder and Morgan Park native Paul Phillips said. The program includes vocational and educational training, as well as a basketball component, which brings in guest speakers to chat with the participants during breaks in games. This year Phillips added a music mentoring program using his professional contacts in the industry. With their help he was able to put together “Better Man,” which features tracks from three young artists. The EP includes a total of eight songs. Ken Willis, 19, of Englewood started out as a youth in the program and was approached by Phillips to be a part of the project. “I was into music and I had my own music thing going on so he reached out and asked if I’d be a part of his album,” Willis said. He’s a gospel artist and strives to encourage and uplift through his music. His song “Unstoppable” was something he had already written but never recorded until Phillips brought him on. He and the other two artists perform together on the song “Better Man." For Willis, the song is about how people can love more. He said that some people don’t know how to love. 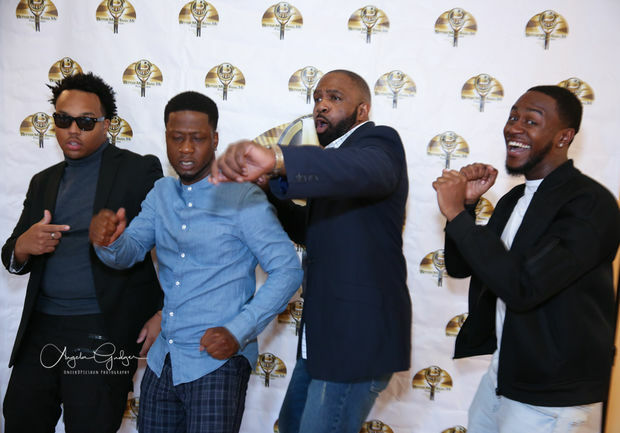 “They say we preaching to the choir, but at least they can sang/and so right and today we need to stop this complaining/people dying everyday/how about we talk to who’s aiming/everybody’s showing patience but no one’s making changes," the song says. Being a part of the album was a great experience, Willis said, although he was a little nervous at first. Darius Washington, 23, grew up in West Englewood, a neighborhood he acknowledges is pretty rough. “I’ve lost a lot of my friends to gun violence or the system,” he said. He has always loved music and discovered his passion at a young age. “I wrote my first verse at 6,” he said. His song “Unbreakable” is personal, he said. “I felt like growing up where I grew up, and losing close friends, that stuff can kind of break you down, mentally and physically, you want to stop doing stuff and going places,” Washington said. When he met Phillips in April through a friend, the two began discussing how he could record for the album. “Being a part of the foundation changed my life in so many ways,” Washington said, adding that his music skills have grown. Jayson Roberts, 20, of Roseland, interned for an organization the foundation worked with four years ago. He fell in love with music when he was four years old, he said. His song “Unleash” has a simple message. “Let your gift show and don't let anyone tell you what you can’t do,” he said. He said he has a lot of respect and appreciation for what Phillips is doing. Phillips, who’s the executive producer, said the music program exposes new talent and helps fund college scholarships. The goal is to release new music once a year.